Complete Dedication in bus charter, limousine and airport car service. With multiple locations in Virginia & Maryland and a national reputation for quality, you can rest assured we will always be early and well prepared. Motor coach bus charter at its finest. If you are managing an event for 2,000 attendees or a small group of VIP's, you can trust us to deliver top quality bus rental. Our seasoned bus captains respond promptly and efficiently with reliable bus transportation. Decades in limousine service have taught us to be discreet, attentive and diligent. Whether you need car service to the airport or just a shuttle transportation, our quiet professional chauffeurs are second to none. You have control while we pamper your guests. Just want to party in a limo? We can do that too. Charter bus or airport limo - arrival or departure, we are always early for your guests. 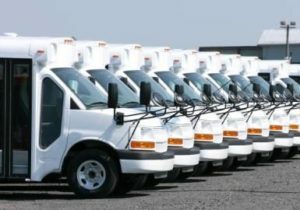 You can depend on us to be in the right place with the right vehicle for any size group. We offer luxurious car service, cost efficient airport shuttle and large group bus rental. Airport meeting points are clear and easy. We wrote the book on shuttle ground transportation. Schools, corporations and large events rely on us to provide contract passenger shuttles to tens of thousands of guests each year. A top safety program, excellent driver training, ADA capability, route management and crowd control experience make us the proven choice. We even have public GPS tracking available. Charter bus rental and limousine service for social events are expected to be provided by the hosts today. We serve all the local wineries and breweries, quality venues and concert halls. You can rely on us to provide a hassle-free experience for your guests. With a multitude of fleet choices you can always find a perfect fit for your group. We serve over 1,000 events a year reliably.